I’ve mentioned before, but I don’t often play games on my phone. Sometimes, though, one comes to my attention. Like Data Wing did. Data Wing feels like a cross between Super Sprint, Thrust and escapeVector. 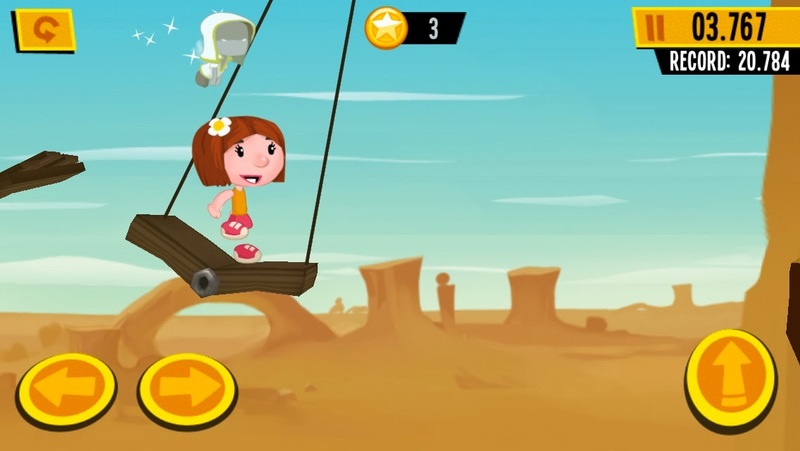 You control a dart shaped object – supposedly a data carrier in a computer system – by pressing the left or right of the screen to steer. Simple controls, so workable on a touch screen! Levels vary between reaching the exit in a fast enough time, racing other darts, finding keys, navigating through heavy gravity, and so on. Skimming the walls with your dart increases your speed, and some areas boost you, slow you down, or strip you of control temporarily. There’s a story about a process in the computer, Mother, wanting to use you to become a real human, and a possibly reformed malware entity who suspects Mother might not be all she appears. You can also collect files that contain message fragments from the computer’s owner, revealing another story there. Data Wing is a simple, short but excellently executed and fun little flying/racing title. And current, it is totally free. Free! Not even any adverts or anything. Amazing. The post Data Wing (iOS): COMPLETED! appeared first on deKay's Gaming Diary. If you asked me which game I have played most this year, I'd probably say Populous: the Beginning, with its 4-hour sessions, or Mario Kart 8 with its endless online. Professor Layton's Azran Stuff has taken many hours as well, with daily puzzles adding to that. One of those then. But I'm kidding myself. I have no doubt sunk the most hours into Extreme Bike Trip, a simple iPhone game where you control a bike hurtling through a hilly landscape. It automatically accelerates (all the time it has petrol, at least), and your controls are a left and right rotate trigger. 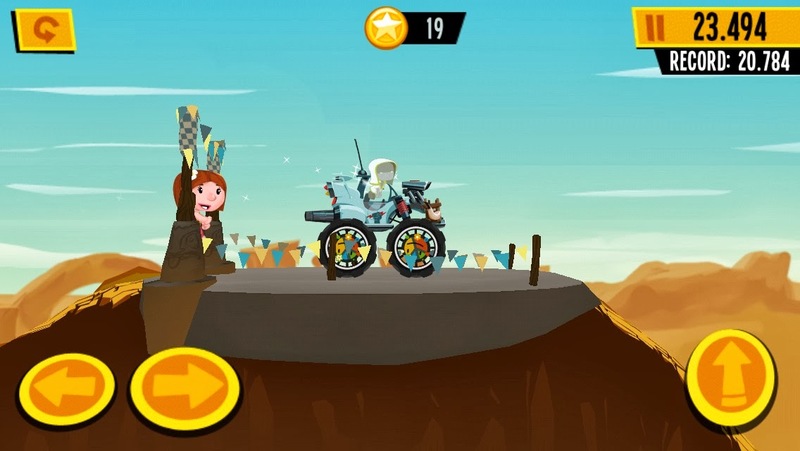 The priority is to land on your wheels after every jump; but if you do only this then you'll quickly run out of fuel. 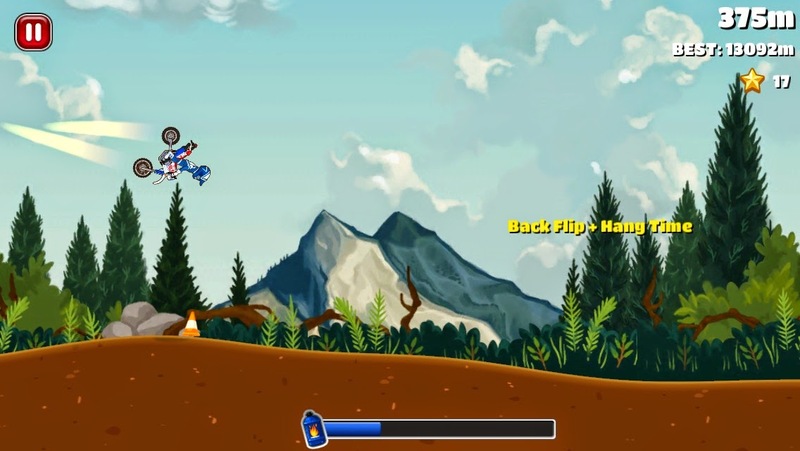 Instead, you must do tricks - flipping the bike over, landing into a wheelie, or slamming the bike downwards - which then give you a boost and allow you to collect more fuel cans. Do enough tricks in one combination, and you get an overdrive which sends you rocketing. It sounds simplistic, and it is. There are a few things that set it out from similar games - many by the same developer. Firstly, when you crash, your game's not quite over. You control your hapless rider, hurtling along the ground, and you can try to make him reach that extra star by forward rolling. The ragdoll physics are at times hilarious, as you land from a 30m drop straight onto your bum. Secondly, there are the missions. Each bike - and there are lots of bikes, each controlling differently - has a set of missions which you can work through. It's a similar mission structure to many games, with you being given three missions at a time and only those that are current can be completed. Early missions - jump over 25m, collect 100 stars - are all ticked off in their first game, but they get quite tricky towards the end. On some of the bikes I have only one mission to complete, which tends to be something like travelling 200m upside down on a jump, or jumping over 300m. And lots of these missions do really rely on luck - hitting a mine at the top of a long hill just after you've activated overdrive, for example. Maybe that's why I'm finding it so compelling - I'm good at the game, but at times I can be great, and it's just making sure that I'm great at a time when a certain mission can be ticked off. There's a load of other stuff in the game too. You can buy new bikes using ether stars or bucks, which theoretically you can pay real money for but I haven't as yet (since I feel they're a bit too expensive for the amount you get). 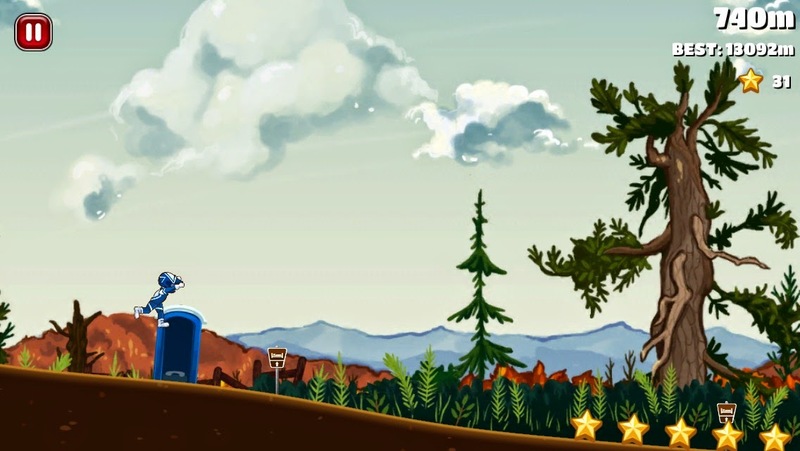 Each day you get a 'frenzy run', where you get given a jet pack and have to collect as many stars and bucks as you can while keeping refuelled. There's a multiplayer mode, where you can win trophies (which can be used to purchase some other bikes). 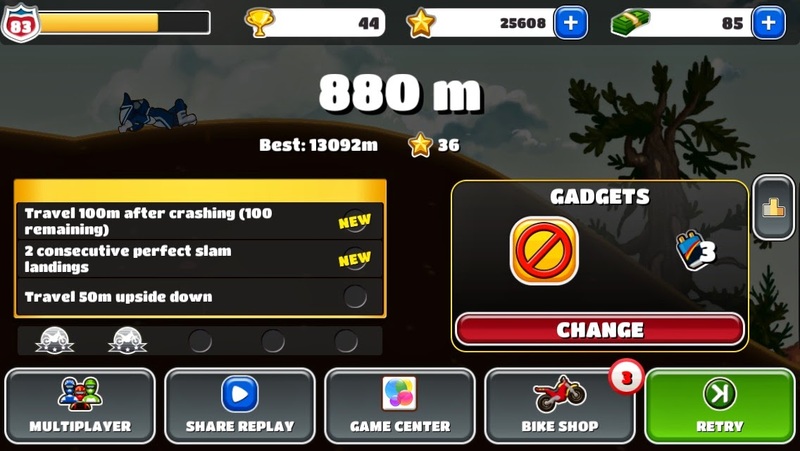 There are leaderboards for the fastest to 1km, 2km, 5km, longest distance, longest distance after crashing, and so on. I dread to think how much time I've spent playing this, but I've completed the missions for only 15 bikes out of a total of about 40. I'm not going to stop any time soon. 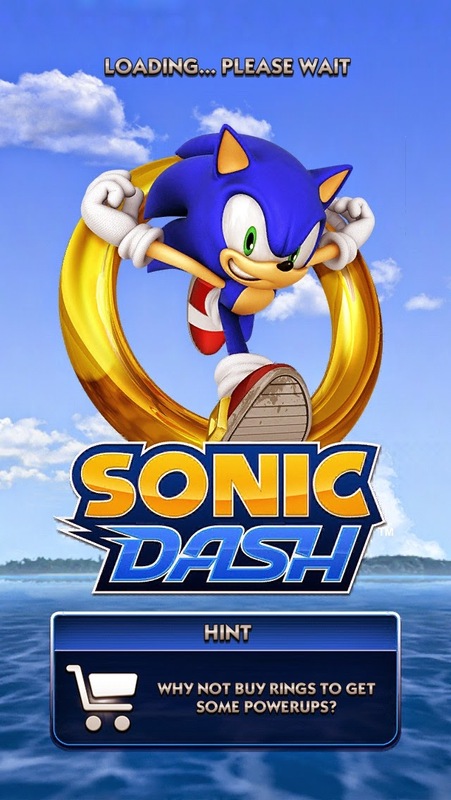 Sonic Dash may be the best Sonic game for years - in that it's not trying to be anything other than a fast run through scenery. 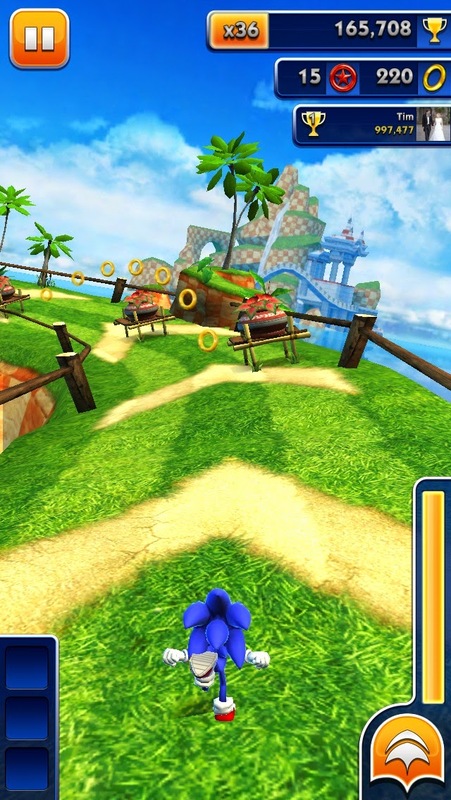 It's an endless runner, with controls which match Sonic's standard abilities - jumping in a ball, rolling in a ball, and running fast. You have to jump over, roll under or dodge obstacles, and roll into enemies to kill them. From time to time there's an easy boss battle. There's a bit of added complexity which sits behind the main game. 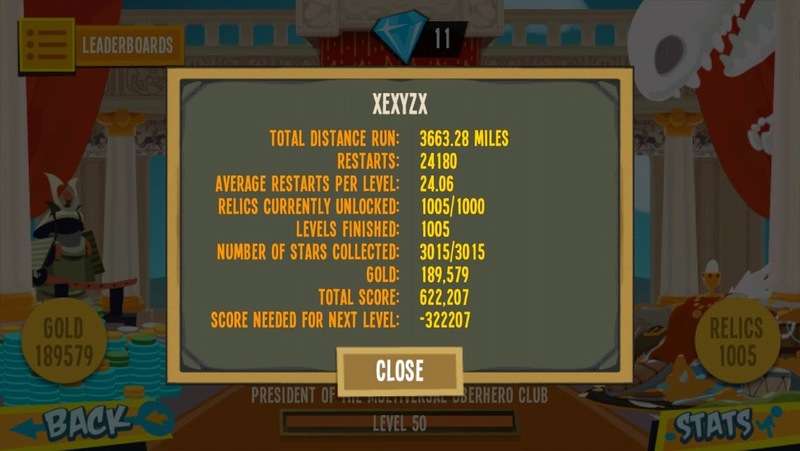 By completing missions, which vary from simple things like "collect 200 rings in a game" to difficult things like "avoid rings for 1000m", you can build up the multiplier applied to your score. You can also double the multiplier by filling up the dash meter (the bar in the bottom-right, filled by collecting rings) and not activating it. By doing this I now have an X38 multiplier, and my high score is 997,000 (compared to the next highest on my friends list of 67,000). One thing to note that I couldn't find elsewhere on the Internet - one of the missions is to "use 5 revives in one run" which I assumed meant that you had to revive Sonic five times; since the number of tokens required doubles each time I assumed this meant I'd need 31 tokens. Instead, the mission completed when I revived for the third time, which was annoying after I'd been saving up revive tokens for two weeks. There are other bits to the game as well. Over Easter there was a special event whereby collecting eggs randomly placed throughout the levels let you earn additional unlockables. I managed to collect about 220 eggs over the period, which meant that I unlocked Cream the Rabbit. Yes, real name. So, all rosy. The downside to the game is that it's full of microtransaction rubbish, where you spend rings to get new characters or upgrades, and collecting the rings in-game takes ages so you feel like spending real money to get more rings. And it's not as if it's really hidden. It's odd, I would happily have paid a few pounds for this game given how well it works and its production values, but I won't spend 69p on virtual currency in the game even though I got the whole game for free. They're making significantly less money from me. 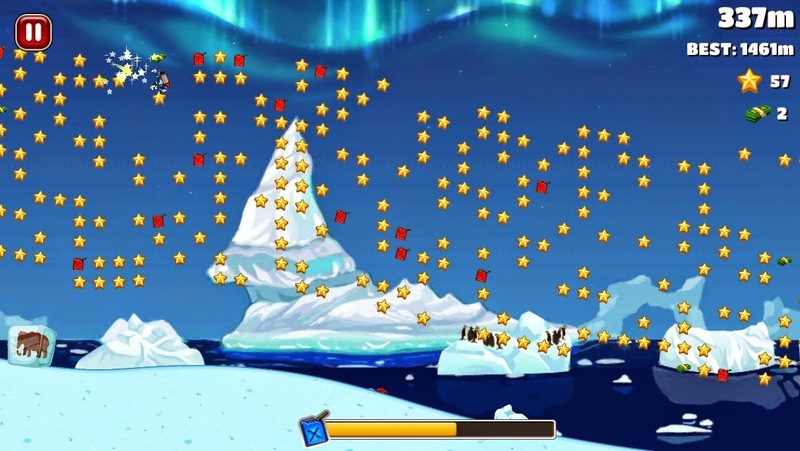 I can't remember when I first started playing 1000 Heroz; it was some time before September 2011, but I'm not sure how many days I'd been playing by that point. I went back and completed all the levels at the start that I missed quite early on. If I wanted to find out, I suppose I could look at every leaderboard and find the first one for which I had a time registered, but doing that involves opening every level and waiting for the leaderboard to open - it's not happening. Even if I estimate that I've been playing since day 80, that's still over two and a half years of daily challenges. I've played the vast majority of those; there were times when I had issues connecting, and there were very occasional times when I simply forgot. I've always caught up on the missed days, though, and made sure that I had gold starred every level. Today is the last day. Day 1000. It was with a mixture of relief and sadness that I opened the level, not sure what to expect - a really long level, using all obstacles, or a long flat run with a credits sequence? No, it was a normal level, 20 seconds long, with annoying bouncy blobs. Not exactly going out with a bang. 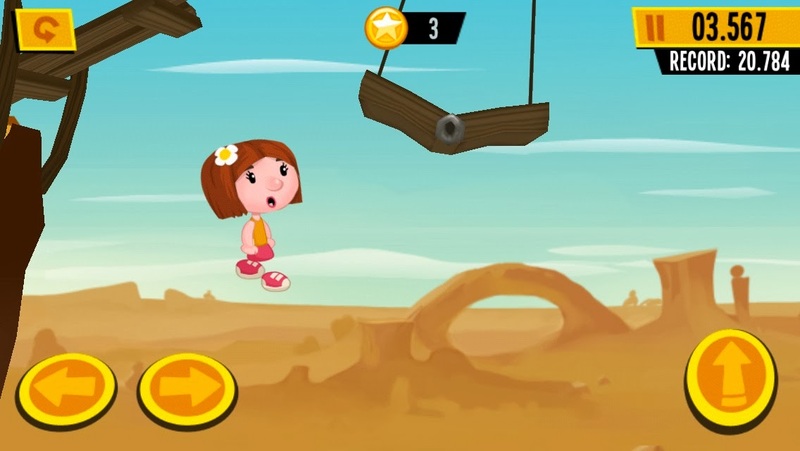 The most fun part of the level came right at the start, with a swing just after an up-ramp, where it was tricky to set the swing going without overshooting. These two scenarios were both seen many times. And then the level was over. Unfortunately, Onze has rejoined the RLLMUK leaderboard, meaning that I was unable to finish with a win. I may have played this game a lot, but that doesn't mean I'm that good at it. 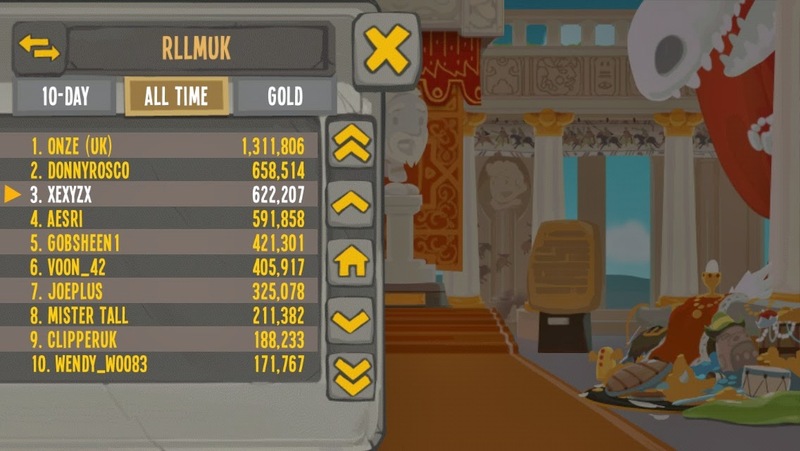 Still, at least I beat everyone else on the last day. 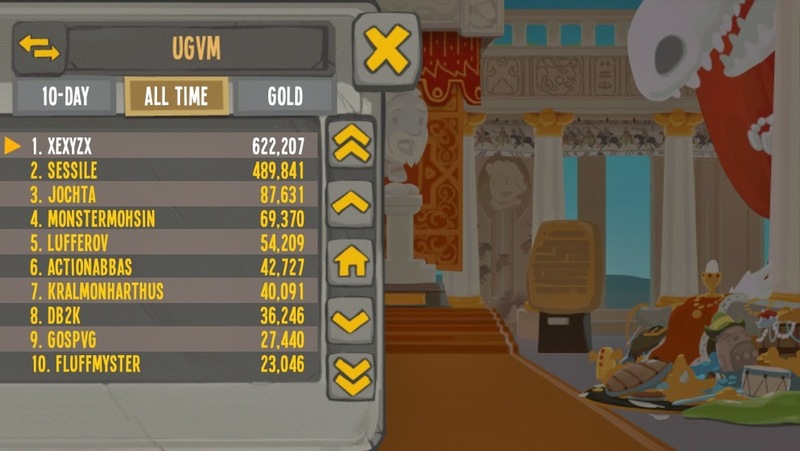 I'm the only UGVM player left, so I did at last win (by default) on that leaderboard. And with that done, where have I finished? First, the good news. Through simple volume, i'm top of the UGVM leaderboard. 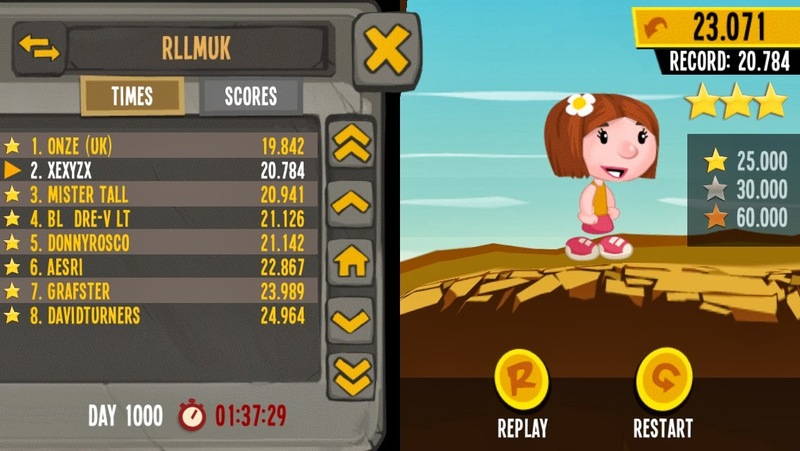 As predicted, I wasn't able to catch up with Don Rosco on the RLLMUK leaderboard, though I did make some progress. My second place has cruelly been snatched by Onze's return. 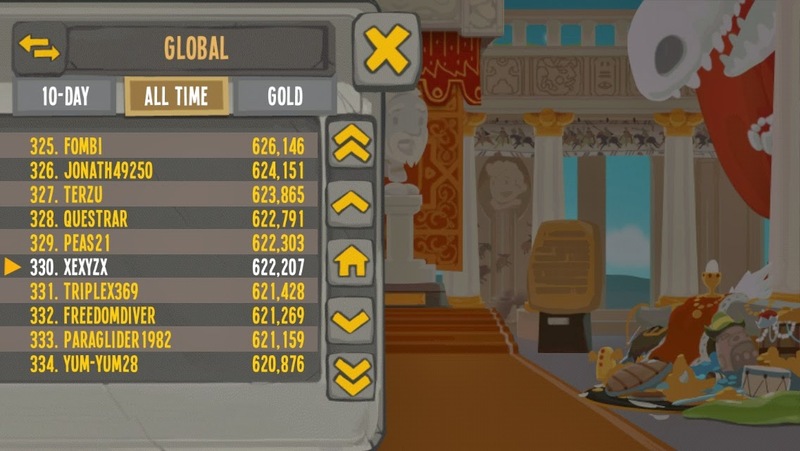 And where did I place globally? I am the 330th best 100 Heroz player in the world. So that's it. 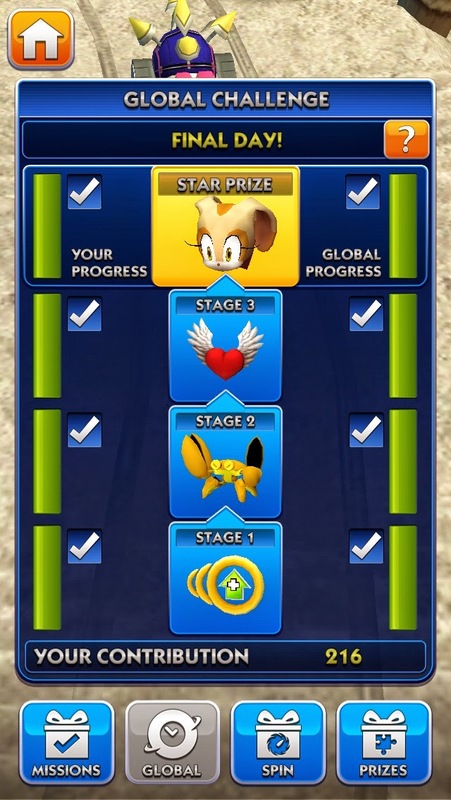 Every level completed with three stars, all relics obtained (including five from the tutorial levels which evidently aren't included in the total below), and all but one achievement gained. The one I'm missing is for collecting 250,000 gold, which I'm still some way off - and given that you tend to get about 100 gold from fifteen minutes of playtime, that's not something I'm going to chase. ... who am I kidding. 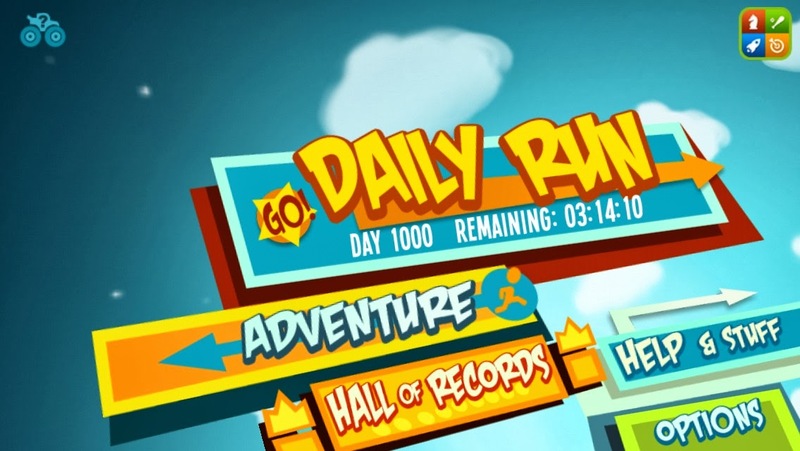 Up to day 926 now, and I'm all-but-out of the RLLMUK leaderboard, as Donny Rosco is 40,000 points ahead and while I beat him on most days, that's only gaining me 100 points a day on average. My period of not playing has come back to haunt me. Most days see me getting a global rank of around 200, which is pleasing. I think at the moment I'm 50th in the world, but there's a fair bit of time still to go. Stupid pieces who never disappear and just get in the way. Grrr. According to Mr Kavanagh, I have somehow missed the launch of the follow-up to my third most-played 3DS game. I'm somewhat loathe to download this, as I know I'll end up playing it exclusively for the next few weeks. I'm frequently tempted to do so anyway, but only at work and I can't connect my 3DS to the Internet there. But yesterday I fancied a bit of a puzzle. As I'm unable to buy Picross E 2 using work's WiFi network, I investigated what was available on the iPhone for my journey home instead. There are, as you'd expect, a lot of picross puzzles, at various prices. There are also slitherlink puzzles, and other such grid games. Some of the best I've found are by Conceptis, who provide a decent number of free puzzles in their (free) apps, with lots of additional puzzles available at a cost. The controls of the puzzles have been well thought out given the limitations of the touch screen - a lack of accuracy in particular. Investigating their catalogue has introduced me to some new puzzle types as well - link-a-pix and hashi in particular. Hashi is a bit tricky to work out the logic at times, but I'm getting there. Attention Deficit Disorder sufferers are likely to really appreciate Super Hexagon. It's a simple game where you have to steer your market around a central hexagon, avoiding the walls coming inwards. It's made more tricky by the speed, the fact that the entire playing field is rotating and skewing, and the music is pretty heavy. I've managed to last just over 35 seconds on the easiest setting (called 'hard') which is the best of any of my friends on Game Center. I feel as if I'm improving all the time, and as the games only last half a minute each it's a game I'll come back to often.